Icebreakers (also known as Warm-ups, Energizers, Openers, and Deinhibitizers) are team building activities that help people feel more comfortable and get to know each other in a process often called "breaking the ice" or "warming up the group." 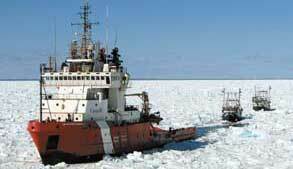 Icebreakers are most commonly used early in the group process or at early stages of team development (e.g. at the first class or at the beginning of a team meeting). They can also be used with great success whenever the group energy is low and people need re-energizing, or when members join or leave the group. Icebreakers work best when they are fun and engaging, and they draw out information or qualities of the participants that aren't obvious or on the surface (e.g. hidden talents, attitudes, or previous experiences). Learning more about each other and having fun can help reduce tension and anxiety and help people get a sense of the commonalities between group members. Use these fun teambuilding techniques to help build your team. Instruct Group members to line up in order of their birthdays without talking. Possible Variations ·	Blindfold some or all participants ·	Use alternative criteria like middle name, age, longest drive to meeting or the shortest drive to the meeting place..
Have the group count from one to ten. The larger the group, the harder this is and the longer it can take. Start by giving them instructions and letting them ask questions, but don't allow them to plan any strategy (e.g. there should be no designated order). The rules: ·	Only one person can talk at a time; if two people speak at once, the group must start over. ·	No one person can say two consecutive numbers. If they become good at it, have them try with their eyes closed. Laughter is one of the simple joys of life! 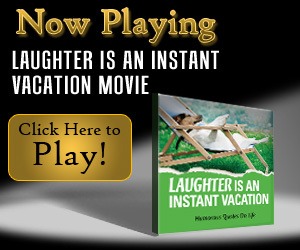 Take a few minutes to enjoy the movie, Laughter is an Instant Vacation. You will laugh, chuckle and take a little stress out of your day. Every month, we add a ton of new products to OfficePlayground.com and this month is no exception! In fact, with the 135 new toys we just added, the total number of products in our datafeed is now over 1,700.